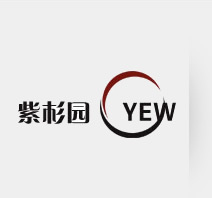 Fujian Yewpark Biological Co., Ltd was established in August, 2008. the company is located in the Ecological Industrial Park in Mingxi County, Sanming City, Fujian Province which is named “ Town of Taxus Chinese”. The total investment of RMB95 million was poured into the company. And we own an integrated production line consisting of plant extraction, purification and synthetic production and full set of analytical instruments and equipment. Relying on the parent company of Fujian Sansan Pharmaceutical Co., Ltd. to supply more than 38 thousand acres of cultivated Taxus we have production capacity of natural Paclitaxel, 10-Deacetylbaccatin Ⅲ and its by-products to thousands of kilograms annually. Fujian Yewpark is the high-tech enterprise that integrates research and development, production and sales. The company is mainly engaged in the extraction and purification of the natural Paclitaxel, 10-Deactylbaccatin Ⅲ，10-Deacetyl-7-xylosyl paclitaxel, Sequoyitol and Cephalomannine, etc., and the R&D and production of semi-synthesis Paclitaxel, Docetaxel, Cabazitaxel, other anti-cancer drugs and the intermediates, as well as the extraction of other medicinal plants. We sincerely welcome clients at home and abroad to cooperate with us to build win-win business partnership.